I bought the oil ETF UCO awhile back. This position trade is working out well. It's up 11% now as oil has climbed. 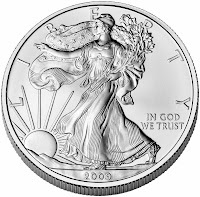 I also bought some Silver American Eagle coins as a long-term investment from Apmex.com recently. Gold and silver have both fallen a lot from the highs. It wouldn't even surprise me if they fell more. But, I don't really care as I'm just looking to build a long-term position. Both charts of course went parabolic and are selling off. Silver looked like it came down a lot more than gold has so far. 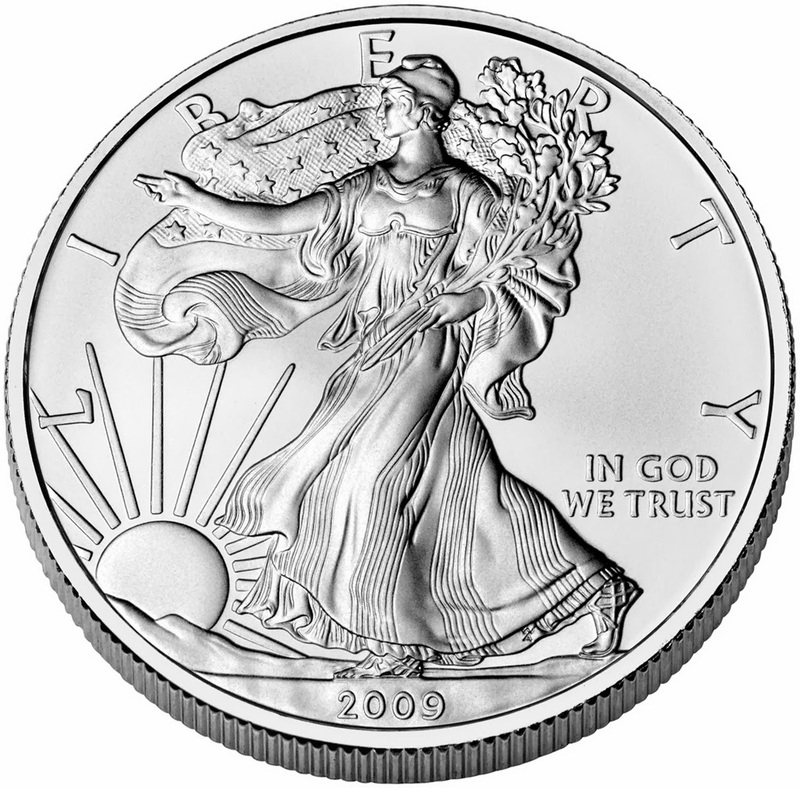 That's one of the reasons I started in the silver. 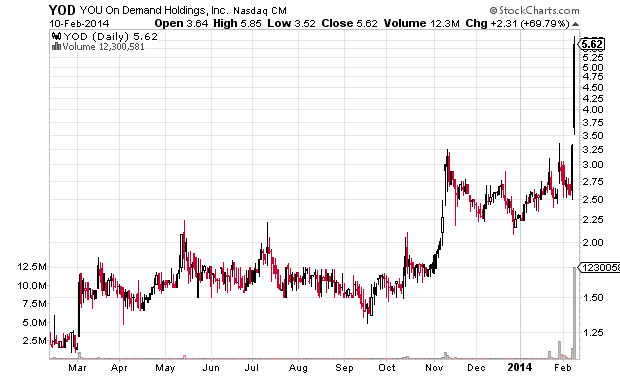 I wrote about this company You On Demand Holdings YOD last year. The stock is up 69% today and closed at $5.62. I wrote about it when it was in the $1.50's a share. It looks like the big run today is from some pump from a Seeking Alpha article. This company C Media just upped their investment a little in the company which seems pretty arbitrary. The stock also has a low float which is some of the reason for the run.